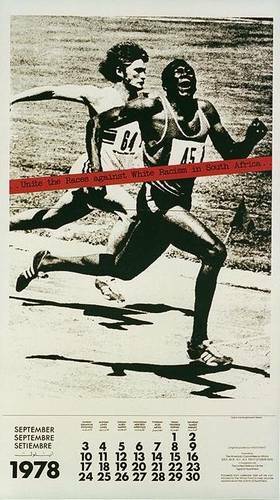 Anti-Apartheid Poster Calendar 1978 - page for January. In 1976/7 the American Committee on Africa (ACOA) held an anti-apartheid poster contest. ACOA produced calendars for the years 1978 and 1979 from the posters. Original poster by Keith Pratt.